The environment for prescription drugs may never be the same when Wal-Mart fully rolls out its low-cost drug program. 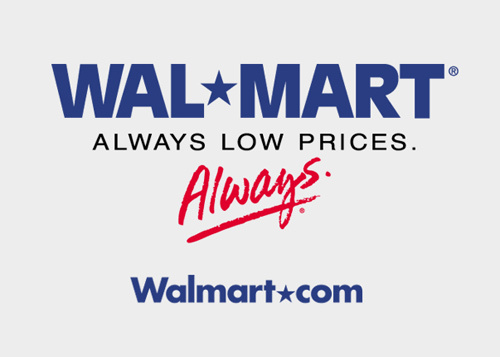 Wal-Mart has already implemented the program in 65 of its stores aeound Tampa, Florida. It will cut the price on about 150 generic drugs to $4 for a 30-day supply. If expanded, this could improve the entire U.S. healthcare system. Are grocery pharmacies and brand name pharmacies shaking in the wake of a potential Wal-Mart blitz. The public just wants affordable drugs for their ailments. Canadian provinces might be put out of the U.S. prscription drug market too. The pharmaceutical companies will still make money on relieving disease symptons. Isn't American capitalism great? There is a lot of publicity coming from liberal Democrats and a lot of practical programs being implemented by conservative Republicans. Former President Bill Clinton is a Neo-glob and his Vice President is embracing the Ozone Man label. Former Vice President Al Gore has produced a book and a movie. President Clinton has the Global Initiative and Sir Richard Branson has pledged $3 billion for work on alternative energy. Laurie David produced an HBO special and even Spike Lee mentioned global warming in his documentary about New Orleans. 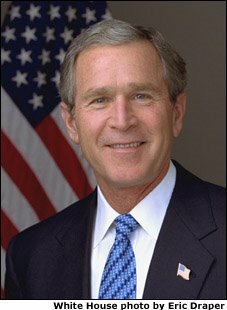 President Bush has the Methane-to-Markets, Asia Pacific Partnership and the Energy Policy Act of 2005 - - three of the most important climate change initiatives ever. Some are talking the talk and some are walking the walk. 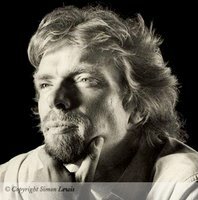 Richard Branson has created Virgin Fuels, which will invest $400 million to develop nonpetroleum fuels. Branson has already invested $70 million in Cilion, a new California company that will build ethanol plants. AAEA Note: there is strong evidence that ethanol will increase smog. The Clinton Global Initiative has created The Green Fund, a profit-oriented entity that will focus on reducing dependence on fossil fuels, creating jobs, lessening pollution and helping to reduce global warming. There are 103 licensed nuclear power plants operating in the U.S. and there are 103 historically black colleges and universities across the country. Both want renewal. Both face stiff competition from outside sources. Investors should flock to these valuable American resources. Do You Gas Up at the Hugo Chavez CITGO Gas Stations? According to the CITGO website, "The company is owned by PDV America, Inc., an indirect, wholly owned subsidiary of Petróleos de Venezuela, S.A., the national oil company of the Bolivarian Republic of Venezuela." 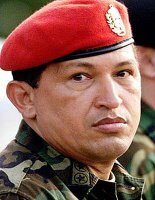 This socialist dictator-in-waiting came to American soil and called our president the "devil" and called for the overthrow of the U.S. government and Kool Aid drinkers are filling their cars up with his oil. Is that really where you want to put your money? New York Congressman Charles Rangel got it right. Get lost Hugo before we park an aircraft carrier off your coast. Hugo Chavez Oil, Inc. is also part of the consortium planning to drill for oil off the Florida coast. 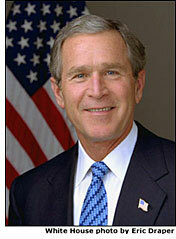 Has President Bush gotten gun shy because of Iraq. He lets this bully kick sand in his face at the United Nations. He lets him make money off of Americans to finance his future dictatorship. He calls for overthrowning the U.S. government. Hugo promotes socialism and condemns capitalism. His cheap oil is not equity for America's poor and minorities either. Venezuelan oil would be a nice reparation. The U.S. EPA announced the strongest national air quality standards in the country's history. These National Ambient Air Quality Standards (NAAQS) address fine and coarse particle pollution, also known as particulate matter (PM). PM is a complex mixture of extremely small particles and liquid droplets in the air (i.e. dust, soot and particles too small to see). The standards address two categories of particle pollution: fine particles and inhalable coarse particles. Fine particles are 2.5 micrometers in diameter and smaller; inhalable coarse particles have diameters between 2.5 and 10 micrometers. Exposure to particle pollution is linked to a variety of significant health problems ranging from aggravated asthma to premature death in people with heart and lung disease. The final action significantly strengthens EPA's previous daily fine particle standard – by nearly 50 percent – from 65 micrograms of particles per cubic meter to 35 micrograms of particles per cubic meterof air. This standard increases protection of the public from short-term exposure to fine particles. Why Does Hugo Chavez Sell Oil to the Devil? Although Venezuelan President Hugo Chavez called President Bush a racist and imperialist devil at the United Nations, he still sells us about 14% of the oil we need. 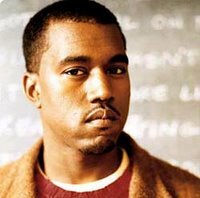 Kanye West said President Bush does not care about black people. 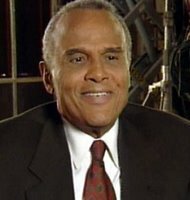 Harry Belafonte, while in Venezuela with Hugo Chavez, called Presdent Bush, " the greatest terrorist in the history of the world." Hugo should shut his big mouth. Kanye was wrong. And Harry is living safely in Beverly Hills because of President Bush. Are the rich Hugo, Kanye and Harry working to get African American ownership of any energy infrastructure? What about New Orleans Lower 9th Ward restoration? Any projects or programs at all? Clearly President Bush makes sure that America gets the oil it needs for our economy to operate effectively. Clearly President Bush probably broke the law when he finally went around Louisiana Gov Kathleen Blanco to evacuate black folk from the New Orleans Superdome and Convention Center. And clearly Presdent Bush has been completely successful in preventing the U.S. from being attacked again. He also appointed Colin Powell and Condoleezza Rice as Secretaries of State. Hell, let's amend the Constitution so we can reelect that racist imperialist devil. 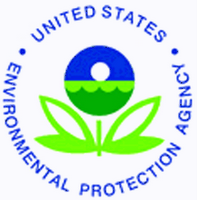 The EPA Office of Inspector General has issued the results of its survey, which shows that EPA senior management has not sufficiently directed program and regional offices to conduct environment justice reviews in accordance with Executive Order 12898. Consequently, the majority of respondents reported their programs or offices have not performed environmental justice reviews. Though some offices may not be subject to an environmental justice review, the respondents expressed a need for further guidance to conduct reviews, including protocols, a framework, or additional directions. Until these program and regional offices perform environmental justice reviews, the Agency cannot determine whether its programs cause disproportionately high and adverse human health or environmental effects on minority and low-income populations. (1) Require the Agency’s program and regional offices to identify which programs, policies, and activities need environmental justice reviews and require these offices to establish a plan to complete the necessary reviews. (2) Ensure that environmental justice reviews determine whether the programs, policies, and activities may have a disproportionately high and adverse health or environmental impact on minority and low-income populations. (3) Require each program and regional office to develop, with the assistance of the Office of Environmental Justice, specific environmental justice review guidance, which includes protocols, a framework, or directions for conducting environmental justice reviews. (4) Designate a responsible office to (a) compile the results of environmental justice reviews, and (b) recommend appropriate actions to review findings and make recommendations to the decisionmaking office’s senior leadership. The Agency accepted the OIG's recommendations. Nation of Islam leader Minister Louis Farrakhan supports nuclear power - - at least in Iran. We guess this means he supports the use of the technology in the U.S. too. 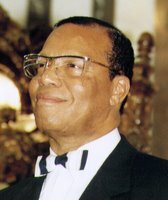 We hope Minister Farrakhan does not support Iran's quest to develop a nuclear bomb. That is clearly what they want and U.S. intelligence knows Iran is using the commercial power angle as a Trojan Horse for their real aspiration - - development of nuclear bombs to use on Israel or the U.S. Minister Farrakhan should be concerned that such a bomb might be used in Chicago. But we digress. We support Senator Hillary Clinton's $2 billion plan to assist the estimated 50,000 people that might need treatment for exposure to Ground Zero toxic dust (GZTD). 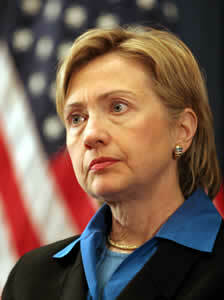 Senator Clinton's plan provides $5,800 annually for each worker from 2007-2011. So far Congress has authorized $227 million with $75 million appropriated to be spent for treatment starting this year. The funding will flow through the U.S. Department of Health & Human Services (HHS) to the state, city and to patients. Mount Sinai Medical Center and the New York Fire Department (FDNY) are already operating monitoring and treament programs and hopefully outpatient and inpatient services will be provided without regard to insurance coverage. We salute Senator Clinton's leadership for these vulnerable American heroes. We stand ready to assist her in helping every person hurt by the GZTD. Al Gore Fooling with us on Global Warming Again? Al Gore, right, must think the public is dumb and environmentalists are stupid. Does he really think he can do this act for a fourth time and we are going to fall for it? When he was a senator he wrote books and talked a big game. 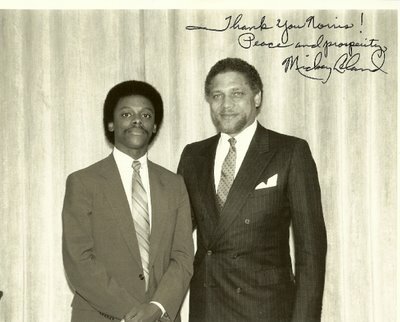 When he ran with first black president Bill Clinton he was proclamed Mr. Environment. Before he ran with Clinton the second time he did this same act. Then when he was afraid of being labeled Ozone Man he ran from global warming like it was the plague. We are tired of your act Mr. Gore. When you run in 2008, which Al Gore is going to show up? And if you get elected will you do nothing as you did for eight years as vice president? Environmentalists had to force you to go to Kyoto. Even Hollywood mega limosine liberal Bill Maher, to his credit, is holding your feet to the fire on this issue. A Review of the Book "Insurmountable Risks"
The book by Brice Smith, "Insurmountable Risks: The Dangers of Using Nuclear Power to Combat Global Climate Change," fails to make its case. The critical fallacy of the book is that it rejects nuclear power as a solution to global warming but replaces it with wind, efficiency, and coal. Mr. Smith is a very intelligent man so he has to know that sequestration is not a practical application for electric utilities to eliminate carbon dioxide emissions. Any reasonable person knows that utilties cannot and will not sequester their way to carbon dioxide elimination. The reduction and transportation equipment nullify this technique. A suitable storage location is another killer. America has never used less electricity and never will under normal circumstances, so efficiency will not work. We are building more and larger houses and buying more electrical gadgets, not less. Utilities have a fidiciary responsibility to reliably provide the power we need to operate our society. The public has no such responsibility and they wallow in the pleasures of buying and using every kind of electrical gadget they can get their hands on. Have you been to Best Buy and Circuit City lately? Wind is not reliable because it does not blow 24-7, but citizens demand electricity 24-7 and utilities use the most reliable methods to provide it 24-7. Mr. Brice uses the capital cost of construction and static cost of nuclear produced electricity in comparison to natural gas and coal (MIT & University of Chicago studies) to try to make his case. Unfortunately, he does not use life cycle cost analysis in his comparisons, thus ignoring the great financial returns during the 60-year life of an average nuclear plant. Utilties currently operating these plants are making money 'hand over fist' and Wall Street knows it. The section on costs and cancer deaths from accidents is pure fiction. Why not spend that time showing that the nuclear power industry has an excellent safety record and virtually no deaths have occurred in the U.S. during the entire history of the industry. This safety record buttresses a massive amount of emission-free-produced electricity to power the most developed and dynamic nation on the planet. And of course, there is the obligatory spent fuel section. Spent fuel is an opportunity, not a problem. So is the available U-238 , fission products and the highly enriched uranium and plutonium from warheads. They all can be reprocessed and recycled to make electricity. By Norris McDonald. Green burial, green funeral, green cemetery. Not that it matters at the time, but embalming is a gruesome process. Not to mention an autopsy and the evisceration of your eyes, brain and entrails. Hacked up like a chicken in a processing plant and formaldehyde, ethanol and methanol replacing the six quarts of blood washed down the wastewater drain. 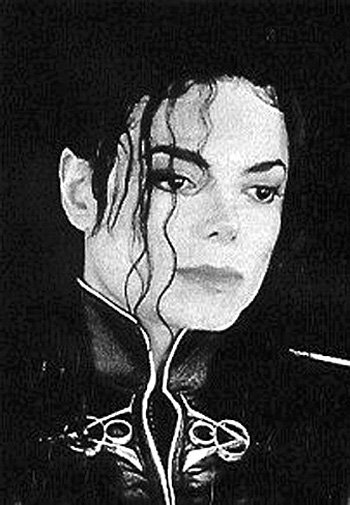 Then suited up and made up for public display in a $5,000 casket and service. And cremation isn't necessarily green. I don't think so. I want a green burial. Wrap me up and put me in the ground as soon as possible after the official death notice has been signed. I guess we need green graveyards too. I wouldn't mind being buried in the woods somewhere but this could get unseemly if many people start doing it. Jewish religious culture has it right. A green funeral would be short, sweet and to the point, with just the closest of relatives and friends avaiable at the time. Six feet deep is fine but less is okay too. I would not mind being worm food for future fish bait. "For dust thou art, and unto dust shalt thou return." The Geneva, Switzerland-based World Health Organization (WHO) came out in support of indoor use of the pesticide DDT to control mosquitoes. 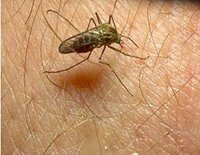 The Sept 15, 2006 decision reversed a 30-year-old policy and allows the use of DDT in regions where malaria is a major health problem. Now the WHO should endorse outdoor use to eradicate malaria-carrying mosquitoes and they will have it totally right. WHO, like AAEA, now believes the benefits of DDT use far outweigh any health or environmental risk it may pose. AAEA has met with EPA on this issue and approached the Bill & Melinda Gates Foundation about supporting an outdoor DDT initiative. About 1 million people die each year of malaria, most of them African children under age 5. Although overused to the point of threatening raptors and other birds by softening eggshells in the 1950s and 1960s, the U.S. provides an excellent example for how to use and suspend use of DDT to end the malaria problem. We disagree with the WHO endorsement for once- or twice-yearly spraying of the pesticide on the inside walls of dwellings. Although DDT has few if any adverse effects in human beings, we believe its use outdoors would be most effective in preventing malaria. Some believe that DDT could cause premature birth and developmental delay in children, but the evidence is sketchy and the American population seems to have fared well during its use for decades. Most mosquitoes are outside and humans are very active outside. Although DDT persists for years, its use can be suspended after the malaria carrying mosquitoes are brought under control. The U.S. Agency for International Development (USAID) endorsed greater DDT use this year too. Most of the mainstream environmental community still values the lives of some birds over millions of people, most of them children. Maybe it is because they are mostly African children and not their children. The prejudice against nuclear power is similar to the prejudice against blacks. Blacks have worked hard for centuries but are stereotyped as being lazy. Nuclear power provides emission free electricity to one out of every five Americans 24-7 and is considered to be a dysfunctional technology. Just seeing blacks is offensive to some people (note living patterns). Just seeing a cooling tower offends some people (even though the actual reactor is inside a containment dome). 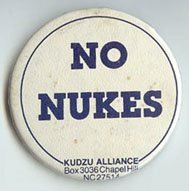 Nuclear power performs miraculously (engineers like to say a 95% capacity factor), yet one little slip at Three Mile Island almost 30 years ago is still held against it. Blacks exhibit miraculous patriotism to a country that has been extremely hostile for most of its history. And the violence of the dysfunctional tenth in the black community is associated with all blacks (to a certain degree). Nuclear power gets virtually no credit for the tremendous service it provides to the nation. Blacks never get credit for helping to make America the most powerful nation on the planet. Nuclear power is portrayed as evil and the industry that runs it as ill-intentioned. Blacks are stereotyped as being violent and undisciplined. 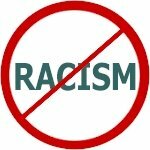 Prejudice is based on ignorance. Maybe one day nuclear power and blacks will be understood, accepted and their contributions a seamless part of our socieity. If everyone does this will there still be a reduction in carbon dioxide emissions? Of course the poor hardly fly and do not generate nearly as much carbon dioxide as the rich. Al Gore has a point though. 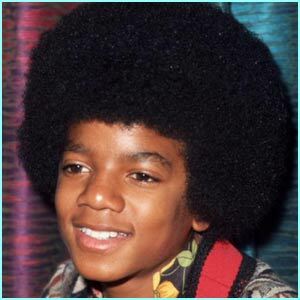 Everyone should strive to be rich just like him and purchase your way to greenhood. It is perfectly sophisticated and we support cap and trade emission markets. So get out there and get rich. Burn up all the carbon dioxide you want and purchase your verified credits. 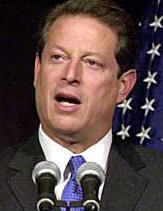 If Al Gore is elected president, will he ignore environmental and energy issues as he did in the 1990s? 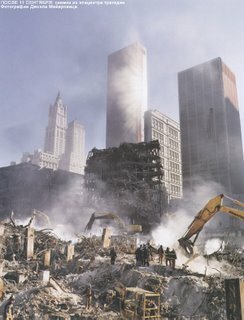 Former Mayor Rudy Giuliani and Senator Hillary Clinton got it right when they said city, state and feds failed to adequately manage protection of workers and others at Ground Zero, Lower Manhattan and other areas exposed to the toxic dust from the collapse of the World Trade Center Twin Towers. This sounds disconcertingly like the complaints from the victims of Katrina at the New Orleans Super Dome and Convention Center. We think the lesson from these two events is that, to the maximum extent possible, you should depend on yourself for protection instead of completely relying on government agencies. We also agree with Hillary and Rudy that all affected should be taken care of. Forget the blame game. We cringed when we watched workers without respirators clearing the debris at the terrorist attack site. But we also understand how hard, if not impossible, it is to do strenuous work in warm weather in dusty conditions with a respirator. And people were not thinking about themselves in the emergency situation. They just wanted to get that site cleaned. 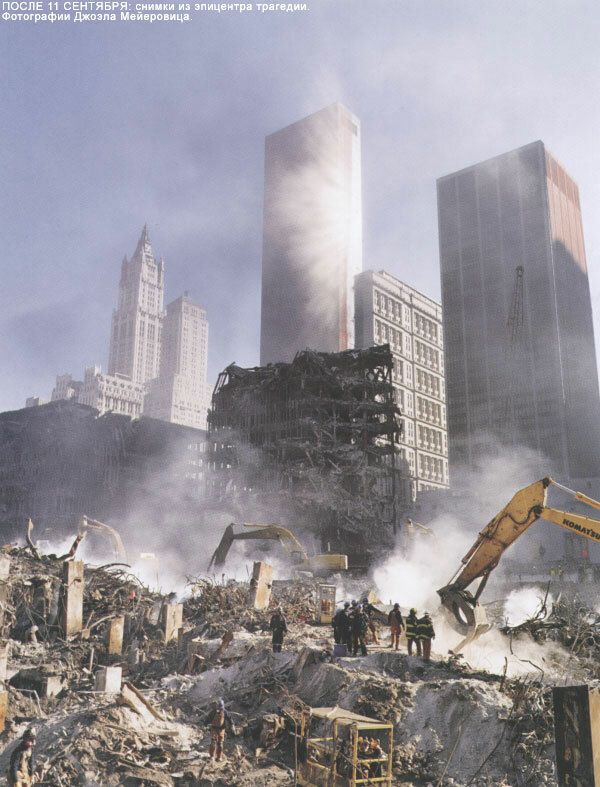 The Occupational Safety & Health Administration enforced respirators at the Pentagon but not at Ground Zero. And there was probably significant pressure to get Wall Street and Lower Manhattan operating normally again. New York City is the economic capital of the world. So the city, the fed, the workers, residents and businesses were in a hurry to get back to normal. We are human. We make mistakes. And government is not a supreme being. As Rudy said, "Everybody bears responsibility for it." 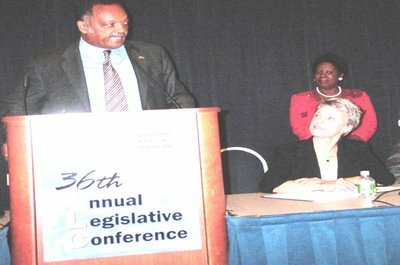 Congresswoman Sheila Jackson Lee sponsored the forum,"Energy: A National Security Crisis," at the 36th Annual Congressional Black Caucus Legislative Conference. The conference and forum were held at the Washington Convention Center. It was interesting that many of the panelists said they were not anti nuclear, but they are still reluctant to get their organizations to support the emission free electricity generating technology. Nuclear Energy Institute Vice President Angie Howard, above with Rev Jesse Jackson and Congresswoman Jackson Lee, presented the case for nuclear power. Other panelists included Wilton Cedeno-Chairman of the American Association of Blacks in Energy, Dr. Emmanuel Egbogah-Founder and Executive Chairman of Emerald Energy Resources, Ltd, Nigeria, Dr. Robert Ford-Associate Provost, Texas Southern University, Janet Gellici-Executive Director, American Coal Council, Albert Myres-Senior Advisor-Shell Oil, Jerome Ringo-President, Apollo Alliance, C. Kyle Simpson-Former Senior Policy Advisor and Staff Director, Department of Energy, & Jim Stanway-Director of Project Development, Wal Mart Energy Department. The Congressional Black Caucus (CBC) held an energy Town Hall Meeting during the 36th Annual Legislative Conference. The event at the 2006 Legislative Weekend addressed energy independence. 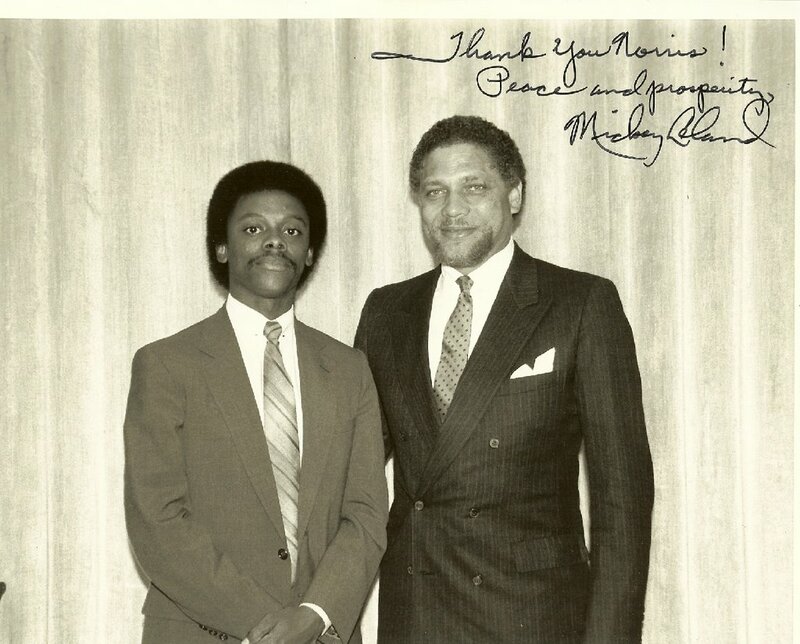 The CBC has held energy and environment braintrusts for the past 25 years and AAEA President Norris McDonald organized the first CBC energy forum for the late Congressman Mickey Leland, above right, in 1981. We miss you Mickey. You were a true legend and an irreplaceable leader in the Congressional Black Caucus. The theme, ‘Changing Course, Confronting Crises, Continuing the Legacy,' focused on current energy challenges and opportunities facing American families and communities, including home heating needs, gasoline prices, and alternative energy strategies that must be implemented to reach the goal of energy independence. Panelists included former Secretary of Energy, Governor Bill Richardson; former Secretary of Energy and President of Fisk University, Hazel O’Leary; President of the Apollo Alliance and Chair of the National Wildlife Federation, Jerome Ringo; Former Congressman Joe Kennedy; and representatives from the American Association of Blacks in Energy. News personality Ed Gordon moderated. Sometimes we wonder if some hope for catastrophies to justify passing their favored policies. For instance, 2006 has been a weak hurricane season and if that disappoints you then you are irrational about the issue. If you want to ruin the American economy to implement carbon dioxide reduction programs that will not work, then you are just policy crazy or politicking. AAEA believes the atmosphere and ocean climates are being changed, including warming of the atmosphere, due to the human burning of substances. Moreover, we believe humans cannot emit endlessly into the atmosphere without consequaence. This truth is not debatable. The Cuyahoga River and city smog prove our point. Earth's atmosphere has a circumference of 22,000 miles and is about 100 miles high at its most detectable level. Weather occurs in the troposphere, which is about 15 miles high. We're talking about a very small amount of air space. California and blue Eastern states have carbon dioxide laws that will do nothing to change global warming or climate change. They are political 'feel good' laws similar to 'high occupancy vehicle (HOV) lanes,' that do nothing to solve the real problem but are politically expedient because they do not anger voters. America probably does not have the will to utilize appropriate technology to address global warming. India and China are going to dynamically develop their societies by burning every fossil fuel they can get their hands on (just as we did) regardless of what we do. Thus, adaptation will probably be the real world response to global climate change. The Food and Drug Administration (FDA) is proposing a ban on skin-lightening products because of potential health risks. If this regulation is approved, blacks that hate their dark skin will be miserable. Although their mental health might suffer, the rule should be helpful to their physical health. How could anyone not like chocolate? Of course, people not hating their skin color use the creams to treat freckles, age spots and other discolorations. AAEA will support this rule.